Look at all that gorgeous hair! 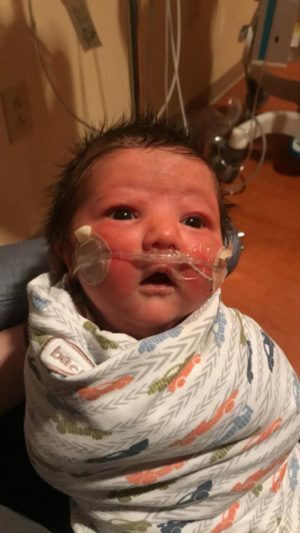 Kyzer’s mom had several emergency medical scares during her pregnancy with Kyzer and ending up delivering via emergency C-section at 35 weeks gestation. After overcoming low oxygen levels, low blood sugars, and a feeding tube Kyzer was finally ableto join his family at home!